On October 1, 2015, the U.S. Occupational Safety and Health Administration (OSHA) released a revised Field Operations Manual (FOM), Directive Number CPL 02-00-159, available here. The FOM aims to “provide OSHA offices, State Plan programs and federal agencies with policy and procedures concerning the enforcement of occupational safety and health standards.” Because OSHA can impose higher penalties as a result of the Bipartisan Budget Act of 2015, the document is a must-read for companies subject to OSHA enforcement. Sites seldom welcome OSHA inspections. Familiarity with the FOM can at the least soften the blow of these unwelcomed events and better prepare entities for field inspections. In the FOM, OSHA provides enforcement policies and procedures to ensure that federal inspectors consistently enforce occupational safety and health standards. Prior to this release, the FOM was most recently updated in 2011. Two changes are particularly important. First, the FOM increases maximum civil penalty amounts. Under the FOM, OSHA raises penalty amounts by 10% for citations that have become part of a final order. In addition, and as a consequence of the enactment of the Bipartisan Budget Act of 2015, civil monetary penalties will factor-in inflation, a monetary factor that hadn’t been taken into account since 1990 in monetary penalty assessments. The new Act eliminates the exemption available to OSHA under prior law requiring civil monetary penalties to rise from time to time to account for inflation. Under the Act, inflation increases will occur annually. Also, OSHA will seek to make up for the lost inflation increases to penalty amounts and calculate an initial increase that will significantly exceed a typical increase to account for inflation increases since 1990. The combined effect of the changes could make monetary penalty amounts considerably higher. Second, the FOM makes substantial changes to penalty adjustments to increase the potential dollar amount of penalties and restrict available reductions. These changes, among others, include increasing the maximum penalty amounts for high-, moderate- and low-gravity violations based on previous statutory authorization and basing penalty adjustments on a new calculus that can result in diminished reductions than would have been available under the earlier FOM. The manual also extends to five years from three the length of time that prior citations remain relevant for use in determining “repeat” violations, and diminishes to 25%, from 35% the good faith discount employers enjoyed. Other changes include lower penalty reductions for smaller employers and greater emphasis on an OSHA inspector’s discretion. For example, the FOM notes inspectors’ ability to deny an employer the right to participate in an inspection if the inspector believes that the employer’s or its representative’s conduct “interferes” with an inspection. OSHA’s authority to do so isn’t new, but the emphasis in the FOM is. The FOM also incorporates revisions to OSHA’s Injury and Illness Recording and Reporting regulation, newly effective as of January 1, 2015. The new regulations and emphasis in the FOM likely will result in more citations. While the FOM contains many other changes too numerous to outline here, it includes a useful summary overview of key changes that’s worth reviewing. Some seemingly innocuous changes, such as the availability of digital signatures to employees who lodge a complaint through the OSHA website, likely will accelerate OSHA’s initiation of an investigation. The earlier FOM required a distinctly more tedious process of faxing documents or mailing them, a process thought to deter initiating or completing the complaint process. Companies should review the FOM and be aware of its contents. 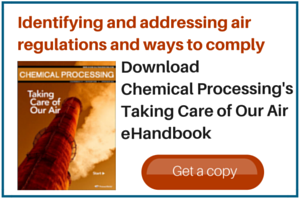 While long (almost 300 pages), familiarity with the manual will help prepare companies for OSHA inspections and, even better, help avoid them altogether. Lynn is managing director of Bergeson & Campbell, P.C., a Washington, D.C.-based law firm that concentrates on conventional, biobased, and nanoscale chemical industry issues. She served as chair of the American Bar Association Section of Environment, Energy, and Resources (2005-2006).